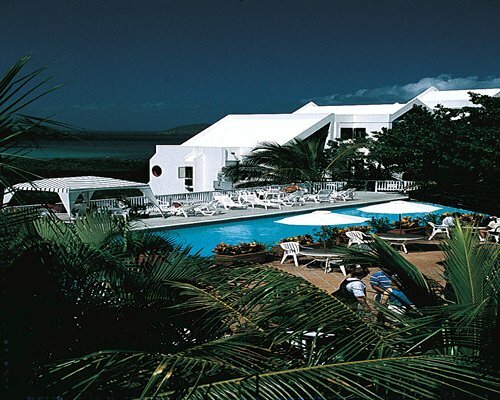 Magens Point Resort is on the cool, scenic, north side of St. Thomas. It is a small, simple, quiet family run resort situated on a tropical hillside overlooking beautiful Magens Bay and Fazio designed Mahogany Run Golf Course. 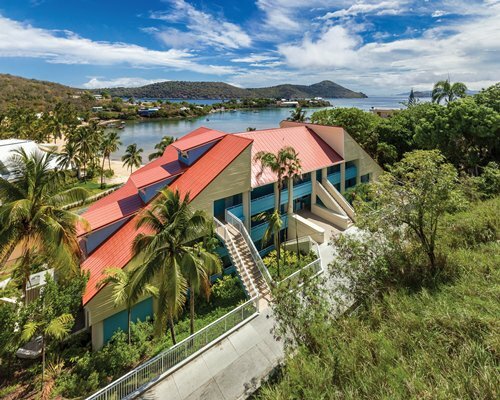 The location is ideal because its secluded setting is far enough from town for a quiet, tropical vacation, but only minutes from the major attractions of St. Thomas; including a 10 minute walk down a hill to Magans Bay Beach. Amenities include a pool, bar, poolside restaurant, small convenience store, massage, fitness center,tennis and more. The one-bedroom unit is 525 Sq. Ft., and it sleeps 4. It's perfect for a small family or 2 adults. There is a queen-size bed in the bedroom and a queen size sleeper sofa in the living room. 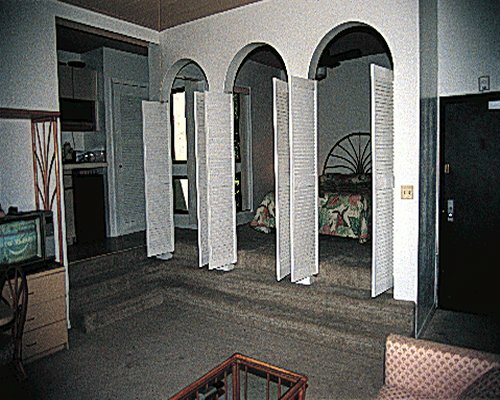 The two-bedroom unit is 700 Sq. Ft., and it sleeps 6. There is a queen-size bed in most bedrooms (some units have a loft for the bedroom) and a sleeper sofa in the living room. Most units are accessible via stairs and have stairs in the unit (resort does not have elevators) and feature conveniences like a kitchenette with a microwave, coffee maker, stove, breakfast bar, cable or satellite TV. Internet is available for a fee. Cyril King airport is located approximately 6.5 miles from the resort. From the airport, turn right on Hwy 30. Continue on Hwy 30 through the first traffic light. 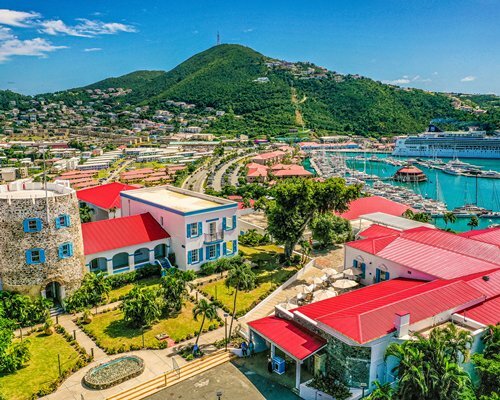 Proceed east through Charlotte Amalie along the waterfront. Turn left on the first road past Fort Christian (red fort in town center) on Hwy 35. Stay on Hwy 35 and cross to the north side of the island at Magens Point Resort. The entrance is at the junction of Hwy 35 and Hwy 42. Contact the resort for information on airport pick-up and dropp off. Mandatory Utility surcharge is 20.00 U.S. dollars. Cash or Credit is accepted. 20$ for 2 guests per day. 10$ each for additional guest. Mandatory Local tax is 25 U.S. dollars. Cash or Credit is accepted. Per day. Bar open from 8Am till Midnight but the kitchen will close at 6PM for Thanksgiving and Christmas. The beach is a 20 minute walk from resort that involves steep hills. Stairs are required to access all units; no elevator access.